Wow! Did you know that these parmesan lids screw onto the top of small mouthed mason jars? Now you can use it to store your freshly grated parmesan or special seasoning blend. It would even look nice siting on the counter. 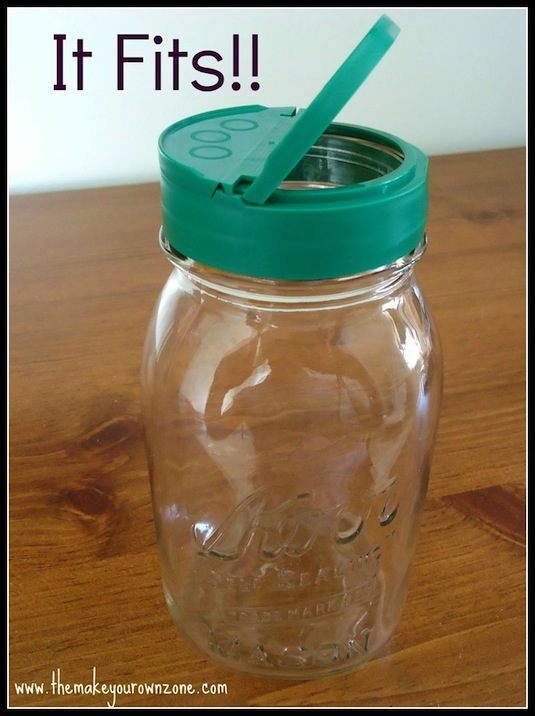 Use the top of a Morton salt dispenser to replace a mason jar lid! Now you can use it to store and dispense sugar, salt, pepper, or seasoning! Simply use the lid to trace the exact measurement needed. Cut it on the larger side so that it fits snugly inside of the lid without having to be glued on.